Product prices and availability are accurate as of 2019-04-07 12:54:54 EDT and are subject to change. Any price and availability information displayed on http://www.amazon.com/ at the time of purchase will apply to the purchase of this product. Please check the ISBN that your instructor provided. If the ISBN-13 does not match this product (9781305638242) or its Printed Access Card equivalent (9781305638259) this may not be the correct product. In some cases, you may also require a course code from your Instructor. A highly personalized, fully customizable learning solution, MindTap helps you to know, remember, and understand concepts critical to becoming a great teacher; practice concepts, create tools, and demonstrate performance and competency; prepare artifacts for your portfolio and eventual state licensure to launch a successful teaching career; and develop the habits of mind to become a reflective practitioner. MindTap works in your college's course management system, so you don't have to sign in to a separate website to access your course materials. 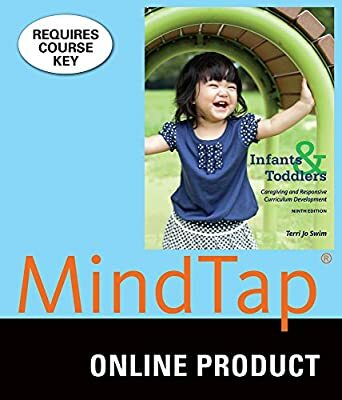 With MindTap for Education, you have opportunities to combine your creativity with the theory and research learned from your course to practice solving real-life teaching challenges. MindTap also automatically saves your artifacts to a free eportfolio--available to you even after your course ends--so you can showcase your work to potential future employers. Instructor Assigned: Please be aware that the product you are purchasing is usable only if assigned by your instructor. If your instructor has not assigned this product, you should not continue with your purchase. This product requires a Course Key from your Instructor to fully activate. Please consult your Professor or class syllabus for the specific Course Key. ISBN: 9781305638242 Access to this product is valid for 180 days of usage. After this period, this product can be viewed under the "view expired" link in your CengageBrain account.